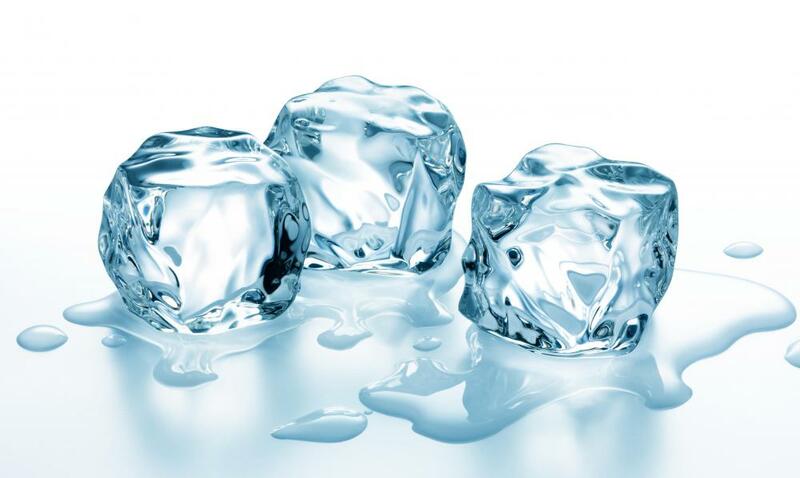 Ice can help reduce swelling and inflammation. Minor bruises may be treated with cold therapy. An ice pack, which is used for cold therapy. Cryotherapy is used to freeze warts off and close blood vessels so they won’t bleed. Cold therapy is a term used to describe the act of using cold temperatures to treat an injury. This is usually done with some kind of ice pack or something similar. Cold therapy can help to reduce the swelling in an injury and lessen pain. It also has the potential to decrease the amount of bruising that an injury will cause, especially if it is used immediately. Hot and cold temperatures affect the body in opposite ways, and they both have effects that can be used therapeutically. Heat generally makes a person's blood vessels expand, and this increases blood flow to a given area. Cold causes blood vessels to contract, and this decreases blood flow and metabolism. Over the long term, heat can potentially help with the healing process in many situations, but in the short term, cold provides immediate symptom relief by slowing down the body’s injury-recovery process. Cold therapy has the added benefit of decreasing pain by causing the area to become numb. This makes ice useful for any kind of injury that causes pain near the surface of the skin. It’s also the reason that ice is frequently used as a remedy for teething babies. One of the advantages of cold therapy is the potential to reduce bruising. 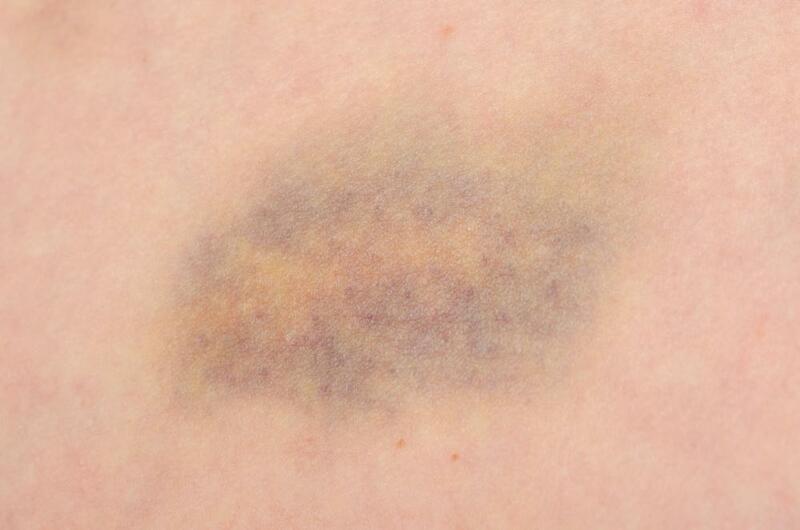 This happens because bruises are essentially created due to bleeding beneath the surface of the skin. The blood pools up after an injury and gradually turns black, causing a discoloration. 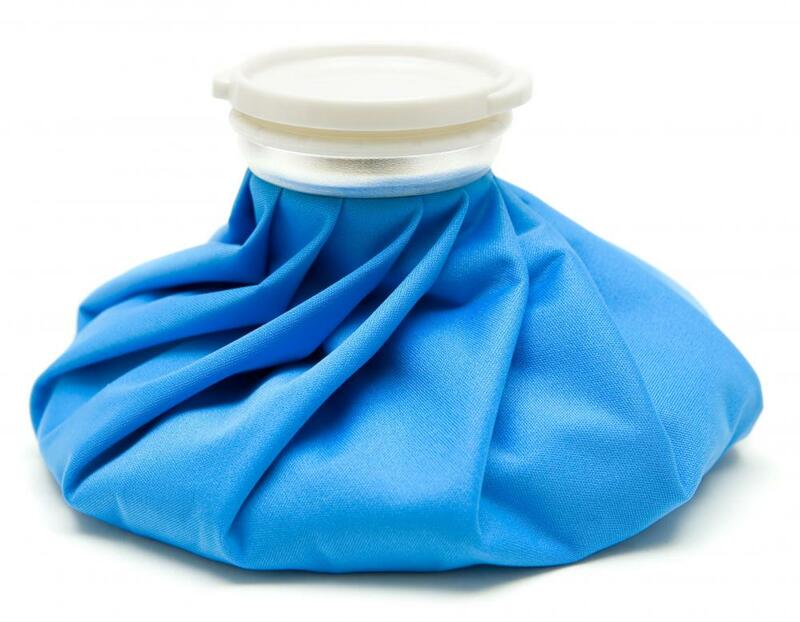 If an ice pack is applied to the area of an injury early enough, it will usually reduce the blood flow to the area, thereby decreasing the bleeding beneath the skin and lessening the size of the bruise. People have used cold therapy for many different kinds of injuries, from minor bruises to broken bones. It’s useful for any kind of impact injury, and it can also help with joint problems. Cold therapy can potentially be used to decrease bleeding in an emergency situation if someone has suffered a severe wound, although it normally wouldn’t be sufficient by itself to stop any dangerous blood loss. Some experts say that the old fashioned bag of ice is the simplest and best way to apply cold therapy. It has advantages because it is inexpensive, and it uses real ice, which takes longer to heat up than most synthetic options. There are products on the market that are made with gels and other substances, and these also have some advantages. Most synthetic ice therapy solutions don’t freeze solid, which means they can potentially be wrapped around the area of an injury, but they do generally heat up faster, so there’s often a trade-off. How do I Choose the Best Cold Therapy Unit? How Do I Choose the Best Instant Cold Pack? How do I Choose the Best Hot-Cold Gel Packs? How do I Choose the Best Reusable Hot-Cold Pack? What are the Different Types of Ice Wraps? How do I Choose the Best Herbal Heat Packs? How do I Choose the Best Cold Compress? I use a cold pack when I have tired, sore muscles after intense workouts. It works very well. The only issue is that if I'm out of the house, I have to use an instant cold pack which doesn't remain cold for a very long time. A freezable cold pack is best and lasts the longest but a refrigerator is required for that which isn't always possible. I still keep instant cold packs with me though, because even twenty minutes of cold makes a huge difference for sore muscles. @fBoyle-- I'm not a doctor, but yes, if the skin is red, I think cold therapy might help. It would be better to ask your doctor though. I know that cold therapy is very good for inflammation. So any time that there is swelling in the body, cold therapy should be used on that area. For example, I suffered from bursitis recently. The back of my knees were swollen and painful. There is really only one way to treat bursitis-- rest and cold therapy. The cold made the swelling go away completely in just a few days. I think cold therapy would help with redness too because redness might be a sign of too much blood flow or perhaps bleeding under the skin. Cold therapy will reduce blood flow and help stop bleeding. So how do I decide whether to use cold therapy or hot therapy for an injury? I understand that bumps and bruises need cold therapy. In other cases should I check the color of skin to decide? For example, if skin is red, should I use cold therapy and if it's pale, heat therapy?